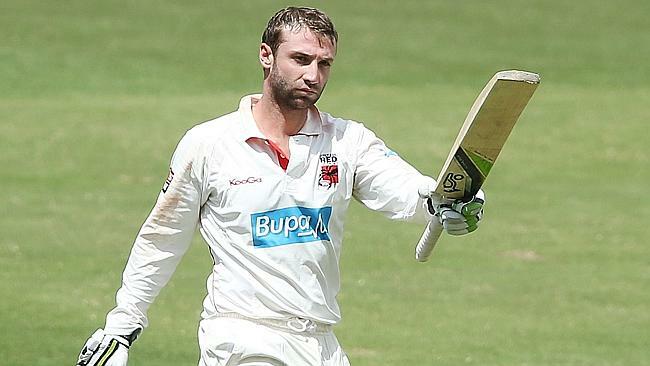 That was the score Phil Hughes was on when he was struck with a blow to the back of the head on Tuesday. As I’m sure we are all aware, this talented young cricketer passed away on Thursday afternoon. What was a freak accident highlights the very real fact, that life is precious and fragile. The death of any person fills us with sorrow, but the death of someone so young, whose life was cut short so quickly perplexes us. At moments like these we look for answers. For those of us who are younger, we are lured into the false idea that we have many years guaranteed ahead of us. The writer of Ecclesiastes however points out the uncertainty of life when he writes in 3: 1 – 2, There is a time for everything, and a season for every activity under the heavens: a time to be born and a time to die”. While there is a time, we often don’t know when our number will be called. However, when we are called we will have to make an account before God. That is why the words of Jesus from John 11: 25, at the tomb of his dear friend Lazarus are so comforting.